Home Hacking News HBO - Game Of Thrones has been Hacked! HBO - Game Of Thrones has been Hacked! Home Box Office (HBO) lunched over 40 years ago is an american premium cable and satellite television network owned by Time Warner. They premeire one of the best tv series of all time since 2011, a fantasy drama series - Game of Thrones (GOT) which has made millions of dollars in profit. "OurMine offers companies security against hacking, charging up to $5,000 for a “scan” of their social media accounts, site security holes, and other security vulnerabilities, and advertises its commercial services by breaking into famous accounts"
Although, the messages have since been removed within an hour of their appearance, HBO claims that the TV network was “investigating” the hack. "OurMine" hacking group has earlier hacked into the social media accounts of both Facebook co-founder Mark Zuckerberg and Spotify co-founder Daniel Ek. It is not known how the group infiltrated these Twitter and Facebook accounts, but it seems that they found details in the publicky known data breaches of secret information which comes from a hack that occurred in July. Late July, the hackers claimed that they stole about 1.5 terabytes of data from the HBO hack. A full episode of TV shows “Ballers” and “Room 104” have been leaked online as well as a script that is allegedly for the next episodes of Game of Thrones. 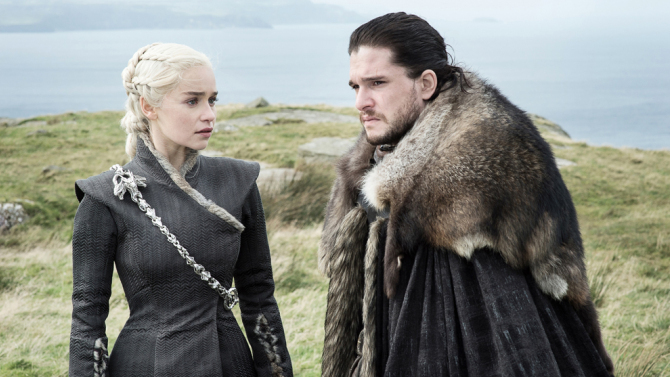 The hackers then published a half-gigabyte sample of its stolen HBO data, including emails, employment contracts, and financial balance sheets, along with the script of the upcoming episode of Game of Thrones, and they are asking for a ransom of about $6 Million to be paid in Bitcoins cryptocurrency. Although, there are reports which claims that HBO offered $250,000 to the hackers to extend the deadline for paying larger ransom according to an email by Variety which failed to reach its goal. GOT. Can't wait for season 8 to be aired but I guess we will have to wait for a year or two.